Do you love music, or know someone that does? Looking for a different and funky way to display your kids' photos? 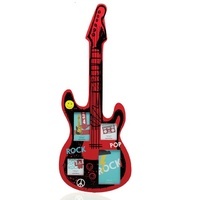 Well, the Rock Guitar Photo Frame is sure to impress any rocking kid in your family! 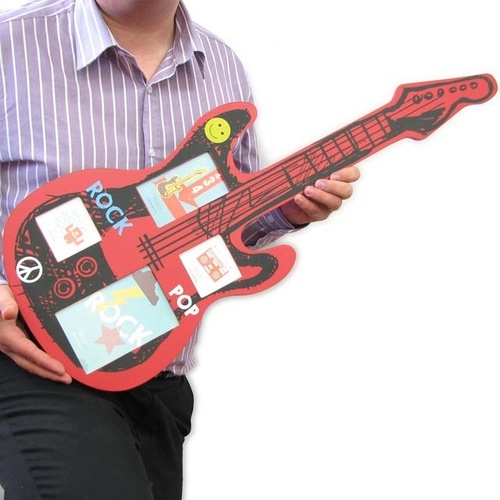 Measuring a massive 78cm long and 30cm wide, this brightly coloured frame features a bunch of cool rock graphics and 4 spots to display your favourite photos: 90cm x 140cm, 70cm x 120cm, and two measuring 70cm x 70cm. Designed and developed in Australia by the popular and trusted homewares brand Universal, the Rock Guitar Photo Frame is made from quality and sturdy MDF. Hang it on the wall or prop it up against any hard surface and you'll be ready to show off your favourite photos in a way that's sure to impress!